Some call him a martyr. When Indian officials reported last week that the young American missionary had died at the hands of indigenous people living on a protected island off the coast of India, a heated dispute erupted in Christian circles. As his story continues to capture international attention, the debate intensifies over his approach to spreading the Christian gospel at North Sentinel Island—and whether he should have been there at all. Much of the discussion is rooted in Chau's 13-page account of his final days, which was shared by his mother with The Washington Post. According to the handwritten diary, he convinced several local fishermen to bring him as close as possible to North Sentinel Island on Nov. 14, at which point he paddled to shore in a kayak. He described seeing women "looking and chattering" before being confronted by men wielding bows and arrows. "My name is John, I love you and Jesus loves you," he shouted at them, according to the journal. He then threw a fish at the Sentinelese and fled. He returned the next day with a bevy of gifts—fish, scissors and a safety pin. When a man wearing a crown shouted at him, he sang worship songs and hymns until a boy shot an arrow that stuck in Chau's waterproof Bible. Chau's relatives since have said that they forgive his killers and that Chau "loved God, life, helping those in need and had nothing but love for the Sentinelese people." Indian authorities say they have no plans to recover his body, according to The Guardian. Some mission experts shake their heads at Chau's actions. Scott Moreau, dean of Wheaton College's graduate school and a scholar of mission work and intercultural communication, said Chau's approach sits on the "naive end" of the missionary spectrum. "If I had been training him, I would be appalled at what he appeared to do based on his diaries," he said. "To go stand on a beach and holler at them ... it just seems unwise, to say the least." Yelling, he said, can be interpreted differently in various cultures, and "typically it's not very positive." Amy Peterson, a former missionary, said Chau's story reminds her of missionary biographies that inspired her as a little girl growing up in an evangelical Christian home in the United States. They were stories of adventure, of heroic figures who traveled to locations that seemed exotic to her as a child. "I wanted to be one of the real, true, greatest Christians—one of heaven's heroes," said Peterson, who wrote Dangerous Territory: My Misguided Quest to Save the World about her experience and how it changed her thinking about missions. That "missionary myth," as she calls it, is common in evangelical Christianity. It first developed in the 1700s, she said, when famed revivalist Jonathan Edwards compiled the biography of David Brainerd, a missionary to the Delaware people in New Jersey. Originally published as An Account of the Life of the Late Reverend Mr. David Brainerd, the biography is replete with tales of survival in harsh circumstances and is the most reprinted of Edwards' books. That work inspired many famous missionaries like Jim Elliot, who, along with four other missionaries, was killed several years into a mission to share Christianity with the Waorani people in Ecuador. Chau's case has brought up memories of Elliot's death for many. For one, she said, it's tinged with white supremacy and Western cultural imperialism. It also emphasizes faith over planning, education and common sense. "I think it's foolish and it's tragic," she said. "But what (Chau) did was right in line with the way that missionary work has often been mythologized in the white American church." Mary Ho, international executive leader of All Nations and one of Chau's trainers, disagrees. She told Religion News Service that the 26-year-old had spoken for years about his desire to reach the Sentinelese and that he "knew that's what his life's mission was about." His diary makes clear he knew that local authorities would not approve of his action: He wrote that "God Himself was hiding us from the Coast Guard and many patrols," according to the Post. "We train our All Nations missionaries to obey authority and to respect laws," she told RNS. Earlier this year, the Indian government had relaxed rules for anthropologist and researchers to visit North Sentinel Island. But Chau failed to get the correct papers before visiting, said Ministry of Home Affairs Additional Director A. Bharat Bhushan Babu. "We believe that his visit to that land was illegal," Babu said. But Babu didn't think Chau's murder had anything to do with his missionary work. The tribes probably saw him as simply intruding on their land. Chau had a visa that stipulated he was in India as an educator, according to Babu. But he apparently journeyed to the island posing as a tourist rather than a missionary. Babu said investigators were still trying to get to the bottom of how and why he went to the island. Authorities could not find Chau's body on the island after few aerial surveys. Searching the island's thick forests could possibly hurt the habitat and unnecessarily disrupt the indigenous tribe further. Nand Kumar Sai, the chairperson at the National Commission for Scheduled Tribes, a public agency, criticized the government's relaxation of the rules for researchers. "Now the damage is done," he said, adding that nobody should be permitted on the island. "We cannot put tribes on risk." Ho, of All Nations, told The Washington Post that the organization knew Chau had not gotten the proper missionary visa because such visas "aren't easy to come by." And the missionary trainer defended Chau's tactics, arguing that his presentation of a fish as a gift was "very, very appropriate." She also said she was "proud" of him for shouting his name in English because it was a "relational" move, even though the Sentinelese language remains unknown. She didn't rule out re-evaluating his approach, however. "We are now still grieving, and I am sure that we will take time to reassess, to re-evaluate the events of the last week," she said. "You will find people who say 'We don't care what governments say,' because for many missionaries, this is an eternal issue versus one that's happening now," he said. 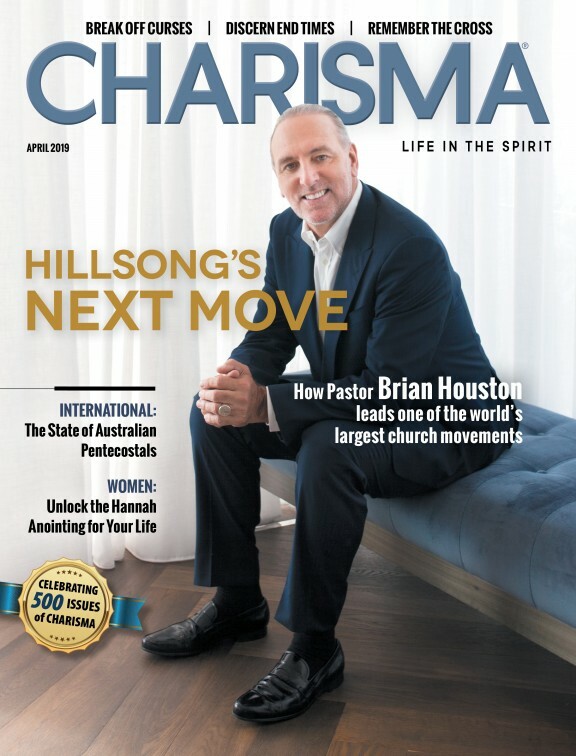 Chau's death comes at a time when many evangelical groups are re-evaluating their approach to mission work, said Craig Greenfield, founder and director of Alongsiders International. "Frankly though, much more needs to be said and done to help churches, missionaries and Christians in general be more aware of their own cultural biases, and the historical actions of the countries they come from," he told RNS in an email. "Especially if they are going to be engaging with others of a different culture and socio-economic context." The Rev. Randy S. Woodley, co-sustainer of Eloheh Indigenous Way/Eagle's Wings Ministry and author of Shalom and the Community of Creation: An Indigenous Vision, has produced guidelines for Christians wanting to do mission work that stress mutual learning and cultural contextualization. "I think that we have to earn our right to be heard—and now more than ever and especially among indigenous peoples. The track record is abysmal," he said. In the U.S. and beyond, that track record includes wiping out indigenous populations with diseases to which they had no immunity and viewing the people they wanted to reach as the "savage and heathen in this land," said Woodley, who is Keetoowah Cherokee. It also includes destroying indigenous cultures and languages and forcing indigenous peoples off their lands and into boarding schools. Would-be missionaries should begin with repentance, he said. They need to be humble, seeking out cultural guides and being conscious of where they have and haven't been invited. "Most indigenous peoples have always been hospitable and forgiving," Woodley said. "And even after the horrendous history that has happened, I think if people showed up in humility, our people by and large—not all, but by and large—would still say, 'OK, you're welcome to be here to talk to us, to share with what we have.'" Greenfield of Alongsiders said he's seen the negative effects of more traditional approaches to missions during his time living in Asia for more than a decade. He has written about new approaches to that work and believes the word "mission" now comes with so much baggage it is no longer helpful. "Missionary work has historically been guilty of a great many things—as they were part of the broader colonial movement. But there were also positive impacts such as education and science that were spread through missionary work," he said. "So it's only fair to note that it has been a mixed bag." "I understand the criticisms and critiques of mission work because I teach them, but that doesn't mean we stop altogether because there is an eternal issue at stake," the Wheaton professor said. "I don't see this dying off unless Christians completely change their convictions."